Listening carefully, one could hear what Abbas means by "occupation." Israel, beware. The address delivered by Mahmoud Abbas, head of the PA and PLO on Sept. 22 at the United Nations General Assembly was a game-changer. The text of the Abbas speech can be seen here. Abbas stood up and declared for the whole world to hear that the consistent PLO definition of “conquered territories” and “illegal settlements”, was not confined to Jerusalem, Judea, Samaria and Gaza. The Arabs flatly rejected the Partition Plan and it is therefore null and void, but that doesn't keep them from castigating Israel for "violating it." However, the Abbas UNGA speech fits in with the forgotten yet consistent US State Department policy, which never ever recognized Israel’s post-1948 settlement of Ashdod, Ashkelon and Beer Sheva and other areas of the Negev that were not included in the 1947 partition plan. In that context, the US fully funds UNRWA education whose focus is the “right of return” to all villages lost to the Arabs in the wake of the 1948 war. Personal and professional note: In 1966, as a 16 year old high school student in Philadelphia, I participated in a World Affairs Council seminar on US Middle East policies.The US State Department representatives at that event 50 years ago made it clear that the US opposed to Israel’s “illegal settlement policies in the Negev”, and that Israel must recognize the principle of the “right of return” for the Arab refugees who were housed in “temporary” UNRWA facilities in Gaza, contiguous to the Negev. Twenty years later, I had the privilege to meet Dr. Joseph Lerner, who worked as an official in the department of emergency preparedness in the White House. Dr. Lerner relocated to Israel in 1986, and founded Imra.org.il, living here until he passed away in 2006. Dr. Lerner always mentioned that the US passionately opposed Israeli settlement policies in the Negev as a cornerstone of US Middle East policy.Dr. 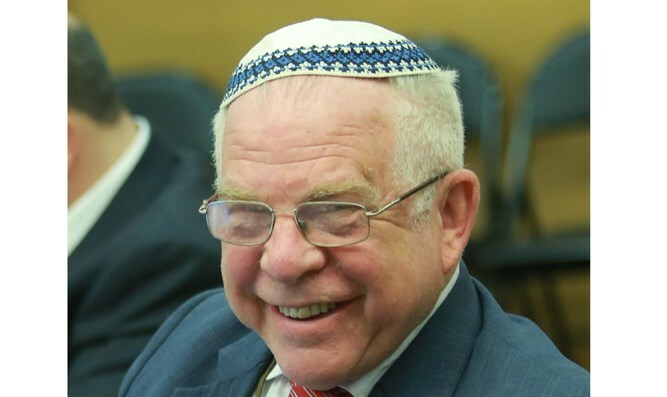 Lerner would often say that while the US toned down its rhetoric on its in-principle opposition to Israeli settlement in the Negev after further Israeli acquisition of territory after the June 1967 war, its Negev policy never changed . Abbas knows that. Do we?